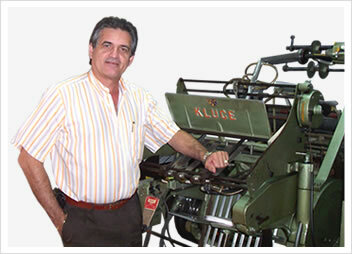 Pictured: Luis Garcia Robaina, President, Hera Printing Corp.
“Kluge is a strong recognized named when it come to foil stamping and embossing and their equipment speaks for itself. We have more than 10 years with their machine and it has always delivered amaizing results. – Luis Garcia Robaina, President, Hera Printing Corp.